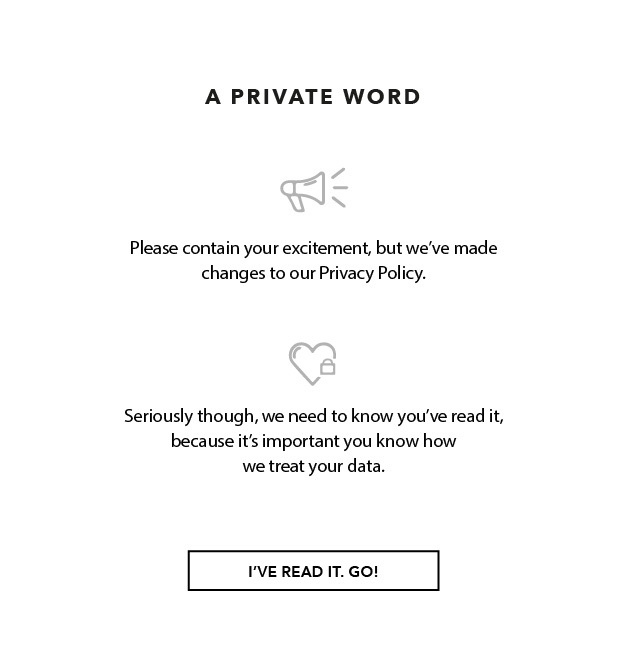 'Sweetly' is just adorable. 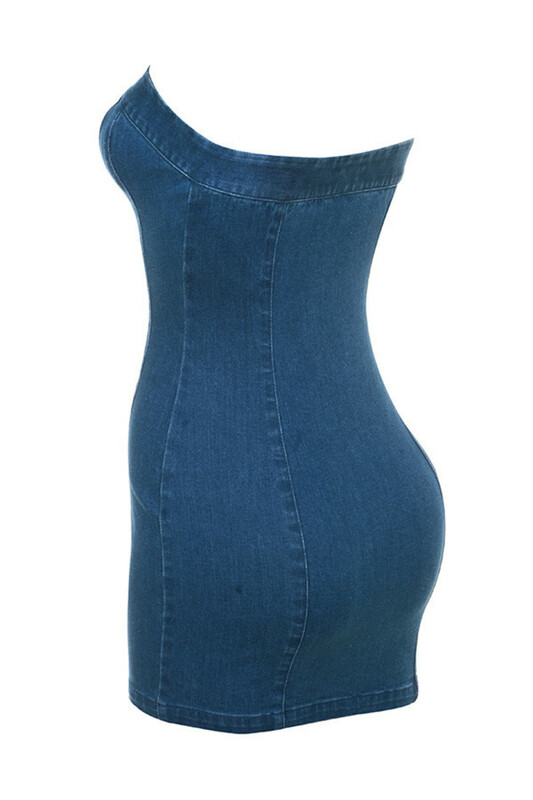 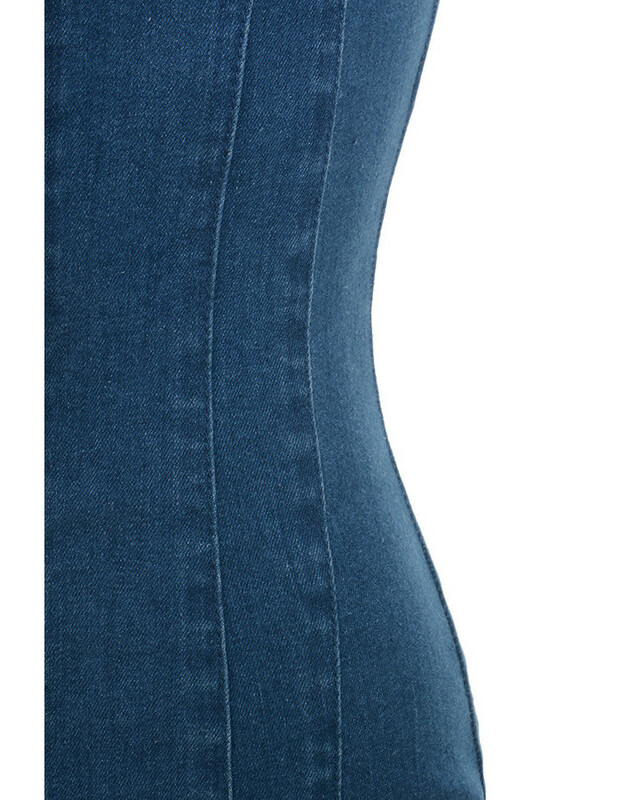 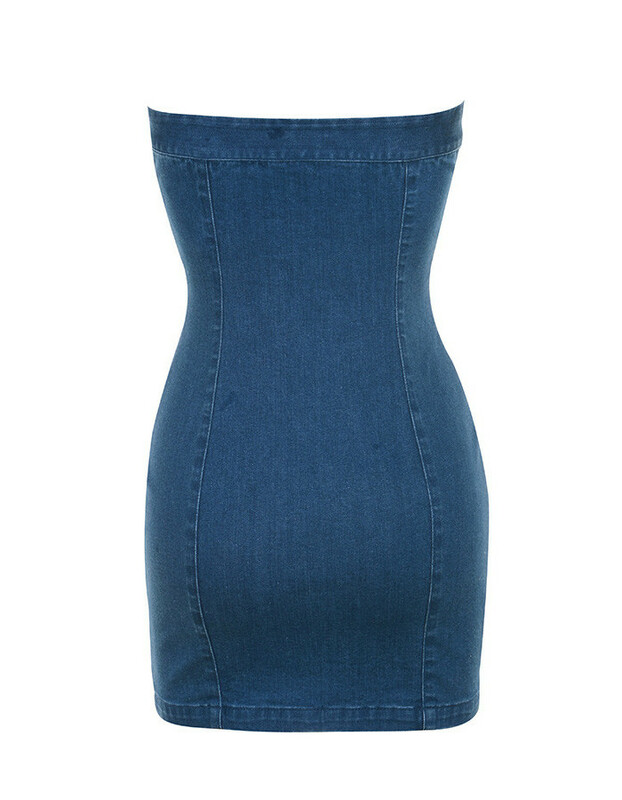 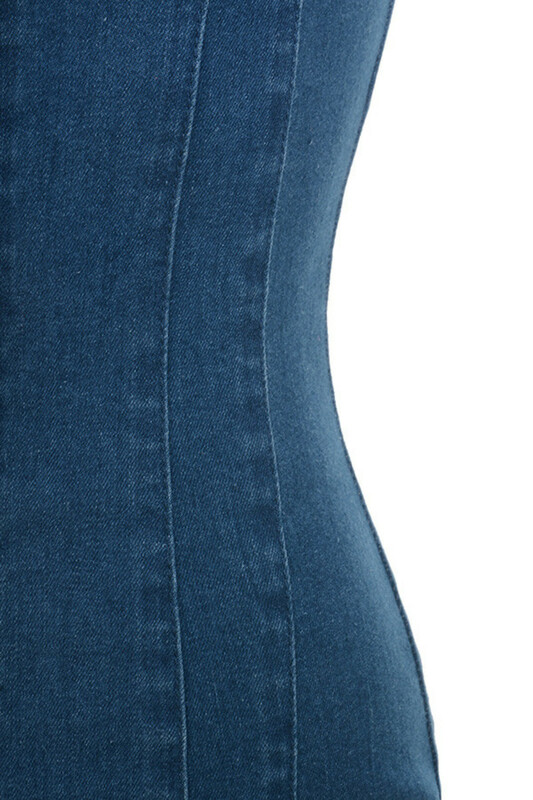 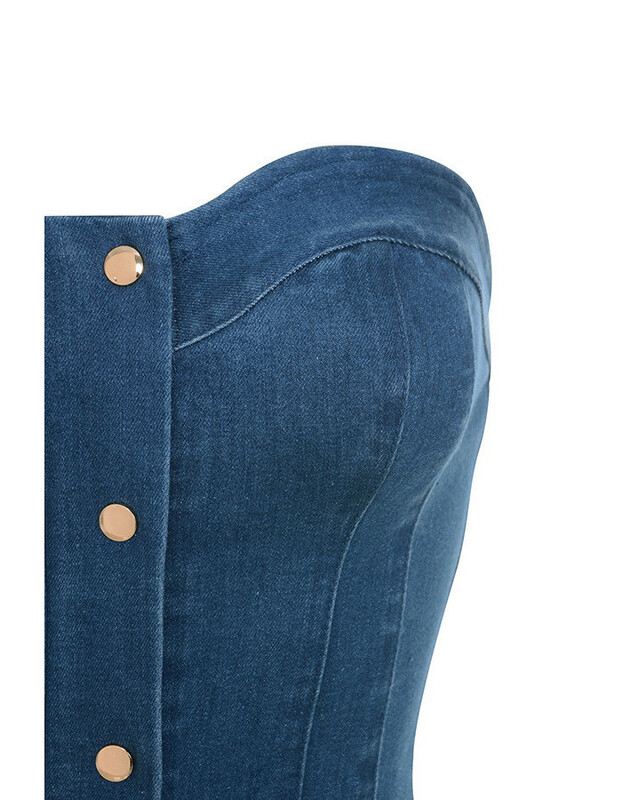 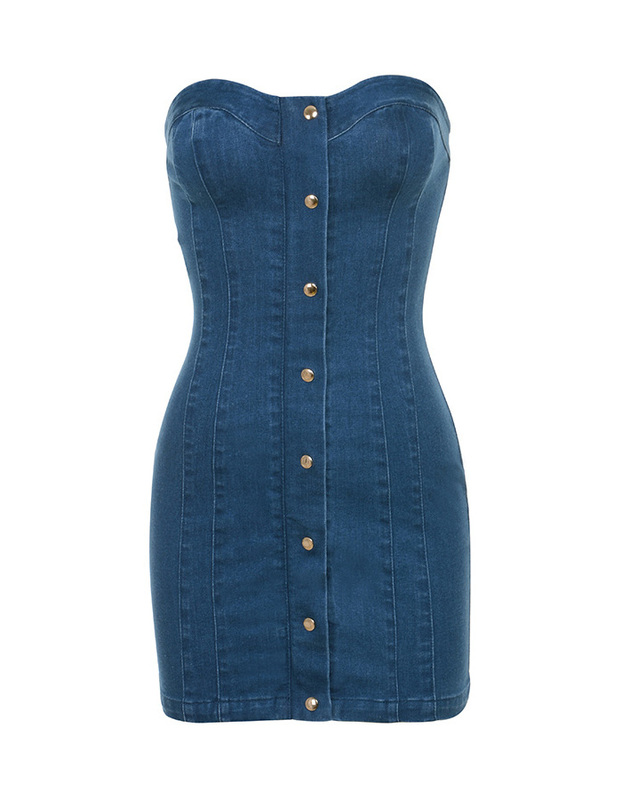 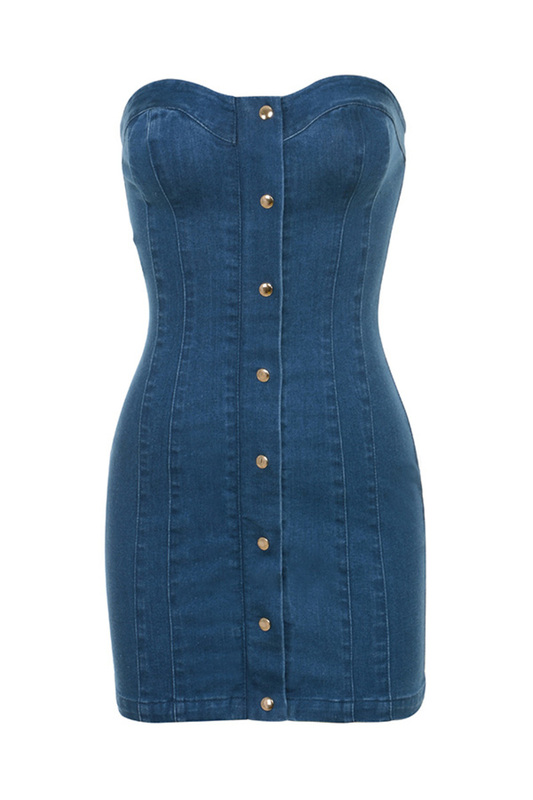 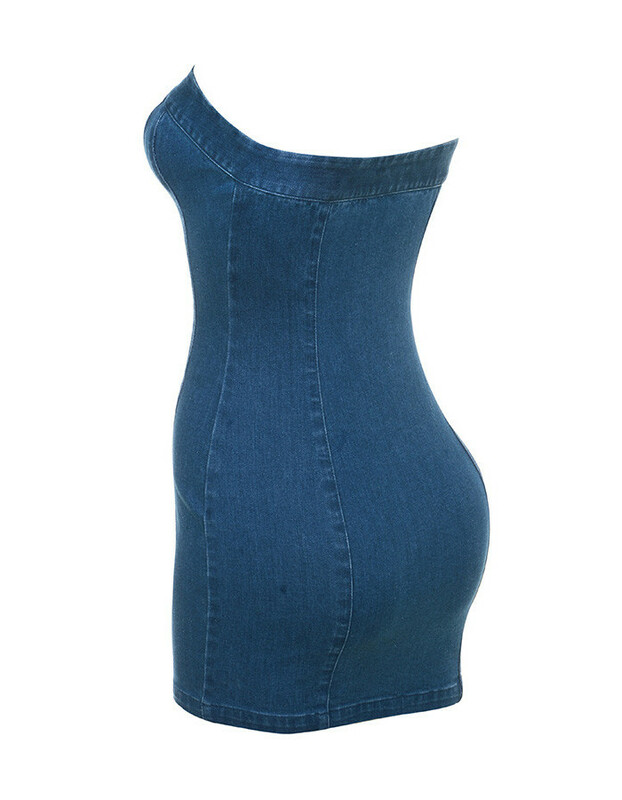 Set in soft stretch denim, this strapless mini dress is just perfect for summer nights. 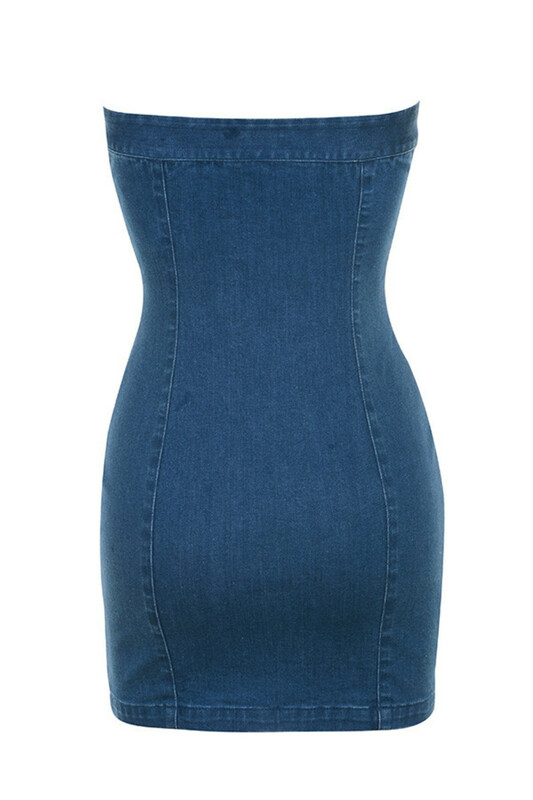 Featuring a strapless cut, shorter length and gold poppers to the front. 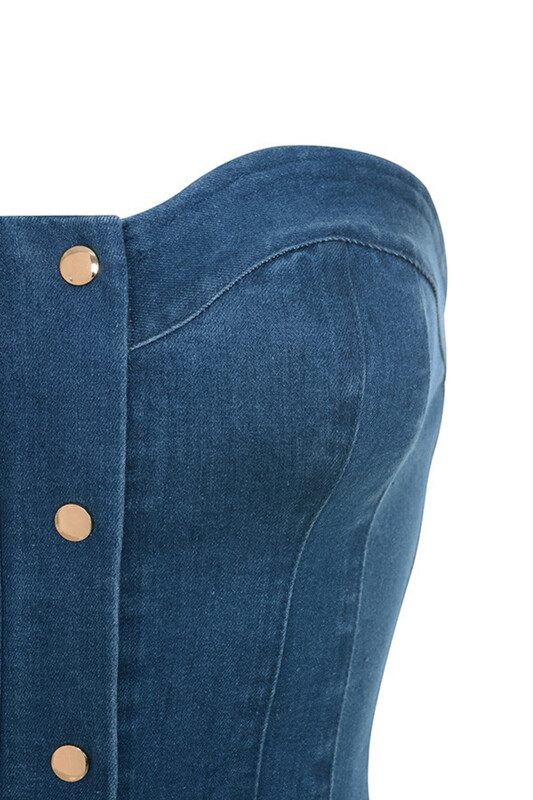 Team yours with neutral pumps.